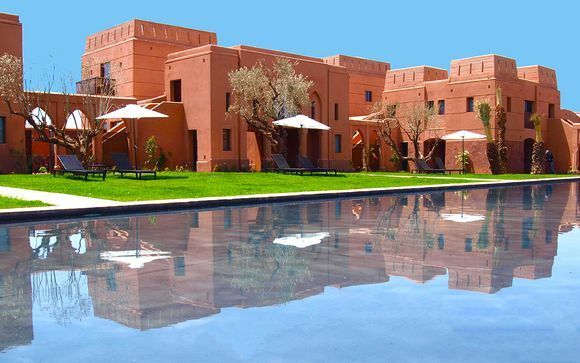 Stays in Marrakech up to -70% off To take advantage of these offers, join now for free! 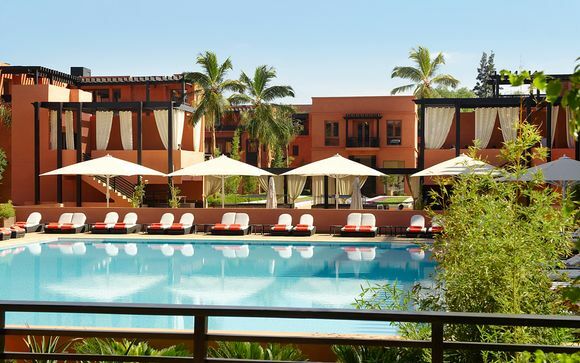 Discover where to stay in Marrakech and immerse yourself in the immense culture and wonderful sights; book unique and luxurious accommodation at Voyage Prive. 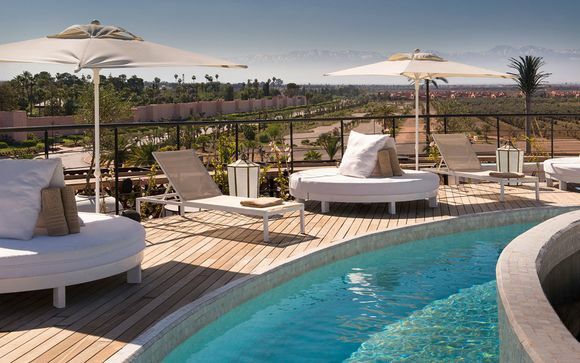 Culture, history, delicious food and friendly locals - a visit to Marrakech really has it all. 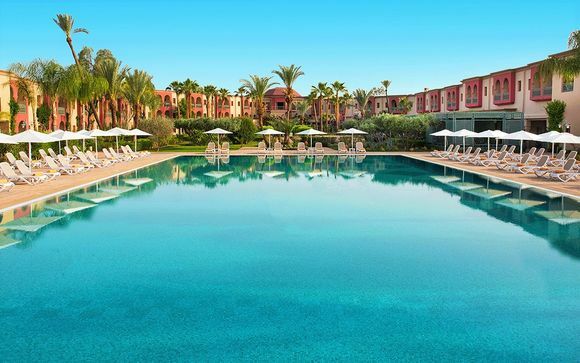 Marrakech is absolutely an all year round destination. During spring and autumn there is almost guaranteed sunshine and a pleasant temperature. At the height of summer, temperatures have been known to rise as high as 42ºC. Winter can be warm, too, but it's worth remembering that temperatures plummet at night. There truly is an abundance of things to enjoy during your getaway to Marrakech. See the iconic Koutoubia at sunset, stroll through the Bab Doukkala market, where you can enjoy the fragrant smell of herbs and spices on offer or browse through the beautiful materials, gifts and souvenirs. The main square, the Djemaa el-Fna, is where it all comes together. A meeting point for entertainers and tradesman plying their wares during the day, it swiftly turns into hundreds of pop-up restaurants at night, where you can sample the most authentic of Moroccan food. When it comes to food, there is a wide range of different options in Marrakech, from feasts to street food. 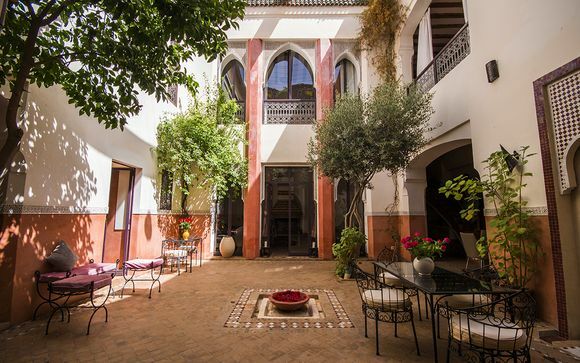 Choices include top of the range tasting menus, delectably tender kebabs or tagines and Moroccan home cooking served on a riad rooftop. Lunch is the biggest meal of the day and most people take it at anytime between noon and 2pm. Dinner is served much later, between 7pm and 11pm. There’s usually plenty of coffee breaks in between. 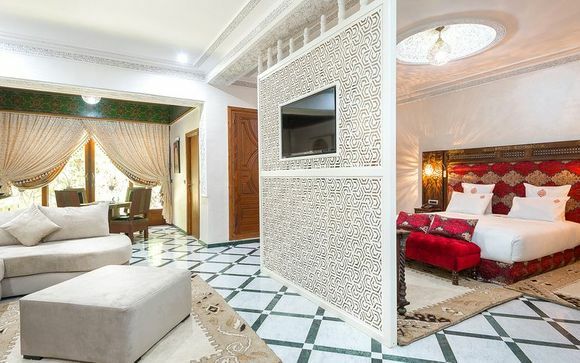 Marrakech is divided into the Medina (the old town) and Guéliz (the new town) and you can stay in either. The Jemaa el Fna, with its ancient nightly spectacle, the souks, magnificent Koutoubia Mosque and the Bab Doukkala market are all located in the Medina. Guéliz has some of the best and most varied restaurants in town – from sushi and Thai to Lebanese and French. Its quaint side streets are populated with charming shops, where everything has a price tag and there is no need to haggle (unlike the market). 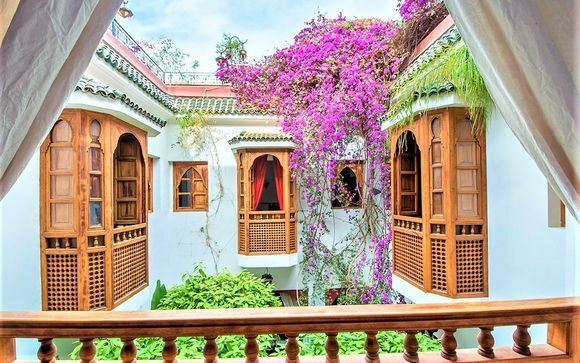 Here you can also find the beautiful Yves Saint Laurent’s Jardin Majorelle, which is almost sanctuary-like in the heart of such a bustling city. Whether you are looking for a last minute getaway or a luxury break, sign up so you don't miss out on our amazing discounted luxury holidays. Our offers change daily and you don't want to miss out! 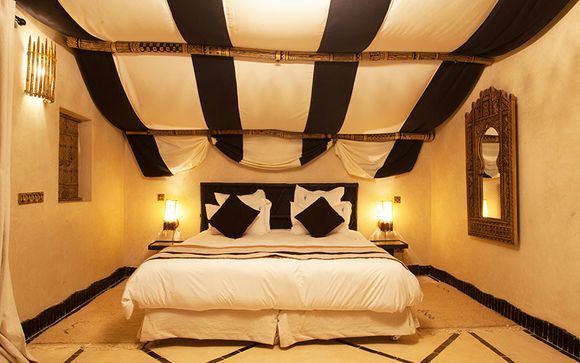 Discover more holidays to Marrakech: holidays, last minute, short break, weekends, sun holidays.